One more application for the Mediation Commission was made by: Matteo Lai. 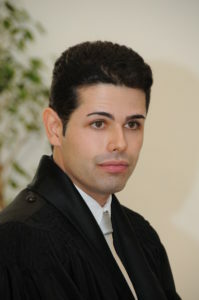 He, amongst other things, has been the IT responsible for AEGEE-Cagliari and an active member of The AEGEEan. Now he wants to give back to our beloved association by joining the Mediation Commission with his juridical knowledge. The AEGEEan: Hi Matteo, please introduce yourself for our readers! Matteo: I am Matteo, from Quartu Sant’Elena, a town very close to Cagliari, capital of Sardinia. I got a master’s degree in law and currently I am an employment and labour lawyer for a very famous law firm in Cagliari centre. Although I have such a serious job, I have a lot of hobbies like dancing, reading Italian literature books, playing football (I was a referee for some regional championships some time ago) and hanging out with friends. In April 2015 I saw some Facebook links about Summer Universities. I did not know what they were, but I had heard somewhere about some holidays only for students and young people. The issue was that I was not a student anymore but a trainee-lawyer. I understood it wes a project of a students’ association, AEGEE. I was not really sure about what I was doing but I decided to approach my University and to get more information. I became an AEGEE member and, until today, joining AEGEE has been one of the best choices in my entire life. 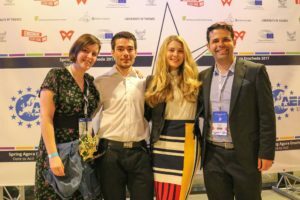 Even if I was rejected for the first SU, this association has allowed me to meet new people which have really changed my opinion about Europe and made me help to delete lots of stereotypes. 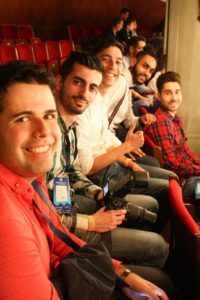 I am one of the AEGEE-Cagliari members who attended more local and European events in a little more than two years. 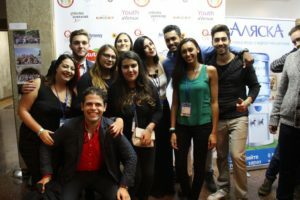 Furthermore, in AEGEE-Cagliari I discovered my second family. Already the first SU as organiser encouraged me to be an active member and that’s why in December 2015 I became the new IT responsible of my antenna. Why did you decide to run for a position in the Mediation Commission? 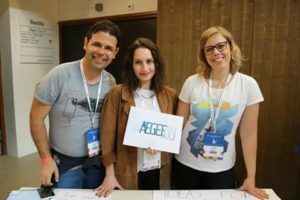 AEGEE is one of Europe’s biggest youth organisations where you can talk with people of several faculties and disciplines and, maybe also because of their cultural background, they are not well aware of the legal aspects of the association. I met lots of AEGEE friends that have never heard about the CIA and I would like to transmit them the knowledge of the Statutes, the rules that govern the life of AEGEE and this could be realised especially when the Mediation Commission is addressed to act as a mediator by any person or body in AEGEE. Very often it happens that people violate rules because they don’t know them. Because AEGEE strives for a democratic, diverse and borderless Europe, which is socially, economically and politically integrated, we can get successful in this task if we also respect the rules. Without rules, we would live not in civil society but we would stay in a state of nature where the condition of each person is “bellum omnium contra omnes” (meaning war of all against all), as the philosopher Thomas Hobbes wrote. I would be pleased to do my best, after two years of hard but very satisfying work in my antenna (I also was organiser for the first Network Meeting of AEGEE-Cagliari), in a European body because I believe in the functions of the MedCom and I think both my juridical culture and my previous experience in other organisations could be helpful for the MedCom. I don’t want to impose my personal ideas to the other MedCom members but I want to contribute to find the best solution for all cases that we will deal with. What do you think it’s the main job of the MedCom? The main job of the MedCom is to strive for an amicable settlement among the parties involved before considering further actions, serving as mediator. If this is not possible, the MedCom has to take a neutral and transparent decision without being subject to business and friendly relations or love affairs. So if one of the MedCom members cannot be objective, has to abstain for the specific case. Furthermore, the MedCom has the role to make an AEGEE member the future best European citizen with its “punitive” competence to make know and respect the law. Obviously, the MedCom deals mainly with the observance of the statutes but some principles in the statutes are shared in every European state, such as “in dubio pro reo”. According to you, what do you think is the most important quality to be in the MedCom and why do you see yourself as the perfect person to fulfill the position? The MedCom requires a lot of observation and knowledge about AEGEE in general and the CIA procedure. I think I gained both of them during my first two years and six months in AEGEE. I like to treat juridical cases and I would like to share this passion with other AEGEE members. Even if there is a psychological side in cases analysis that I have acquired as very active member in my Antenna and in European projects because I know many dynamics that can determine, even just accidentally, the violation of some rules. I am a person that wants to dialogue with members and not just directly to punish them. Even if every final decision, I would like to remind, has to be ratified by the Agora. 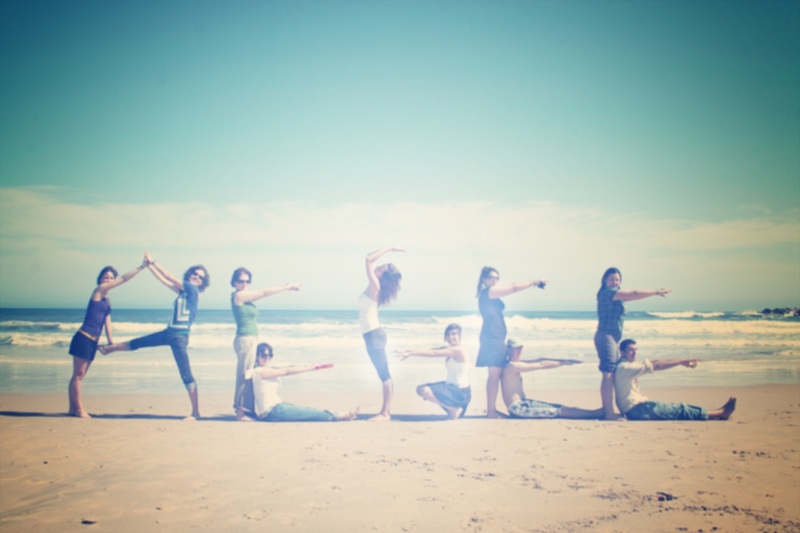 What is your idea to strengthen the communication and the cooperation within and between the AEGEE bodies? 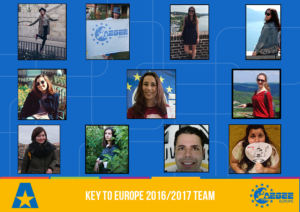 The Mediation Commission is expected to co-operate fully with the other bodies of AEGEE-Europe and to use their experience and knowledge. Social networks could be helpful. For example, a Facebook secret group could be created in order to share some cases with some members of the European bodies so that some members not involved in Medcom can express their opinion and offer another point of view. Obviously, the active participation in this Facebook group would be not obligatory as well as uploading all cases by the MedCom. Also some Skype meetings can strengthen the communication between the AEGEE bodies. Could you sum up your programme in a few clear bullet points? I will tell you with some key words: prevention, impartiality and knowledge of the rules. Prevention means that the MedCom should help to avoid conflicts between Locals, in its advisory function, but this is possible only if the MedCom gets a request by any person or AEGEE body. Instead, I think the MedCom can, at least, make some investigations, or also express the advisory function if just one of the MedCom members hears something, or somehow gets some rumours (but not fake news), about any issues between locals, without any request needed. Impartiality means that the MedCom should take a decision without being influenced by any external element. Every member of the MedCom knows that is working for the good of the association and has to abstain if he/she cannot make the decision. Knowledge of the rules means that the MedCom should promote the knowledge of the rules by the AEGEE members with its advisory and “punitive” functions, that could be facilitated through spreading the content of the CIA and its practical applications via a new Facebook page, after every decision is ratified by the Agora. In the eventual Facebook page I want to insert some posts about the normal day of the MedCom member, without, obviously, spreading information about the cases. The website of the MedCom has to be updated I would like to take care of it, considered my experience as IT responsible of my antenna and the Your Vision for Europe project. You can read Matteo’s full candidature here.